For many first-time homebuyers, buying a home is the biggest financial decision of their lives. There are numerous steps that must be taken, and financial losses may occur if you do not seek legal representation. For example, some homebuyers may not be aware that they can ask a seller for contributions. When a homebuyer asks a seller to pay costs on her behalf, such as title insurance or processing fees, and the seller agrees, these are called seller concessions. 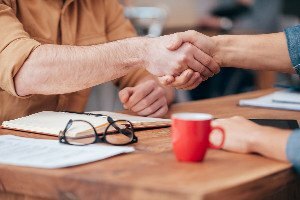 If you are negotiating to purchase a home, a Boston real estate attorney at Pulgini & Norton can help you understand whether asking for seller concessions may be viable in your situation. When you buy a home, there are numerous financing or closing costs that may amount to thousands of dollars that need to be paid before closing. The closing costs may include adjustments, pre-paid items that a borrower is responsible for paying at closing, lender fees, reserves that need to be deposited with the lender at the closing, state recording fees, title charges and fees, and more. If there is a seller concession, the seller has agreed to pay for some or all of these closing costs, which is very helpful for buyers. However, a seller may also see some advantage to granting a seller concession. A home may sell faster with a seller concession. If you are a seller trying to buy a new home, you may want to provide a seller concession so that you can obtain funds more quickly for your own home purchase. However, you are limited in how much you can pay in concessions. How much is a seller concession? The amount is dependent on many factors, including where the home is located, how much the buyer borrows, how the house will be occupied, and how much you are paying for the home. Whether you should ask for a seller concession also depends on these factors. If a home is priced fairly, and there are multiple offers for it, it is less likely that you will be able to get a seller concession. When a seller does not need to move the property quickly, the seller may not agree to pay some or all of the closing costs. This means that you may not be able to buy the house. Therefore, it is usually important to have enough money to cover all of the costs yourself, just in case you cannot get a seller concession, or you cannot get as many concessions as you had hoped. In some cases, loan prequalification may help you figure out whether you will be able to purchase the house that you want with or without seller concessions. One of the biggest barriers for first-time homebuyers is saving enough money to make a down payment and pay closing costs. It may be vital for some of these buyers to receive a seller concession that eases the burden of saving thousands of dollars for these costs of homeownership. When you buy a home, you may need to ask for seller concessions. At Pulgini & Norton, our Boston real estate lawyers can advise you about the entirety of the transaction and negotiate for seller concessions on your behalf. Our property transaction attorneys represent buyers, sellers, associations, and lenders in Somerville, Waltham, and Newton, among other Massachusetts communities. Contact Pulgini & Norton at 781-843-2200 or through our online form to schedule a free consultation.